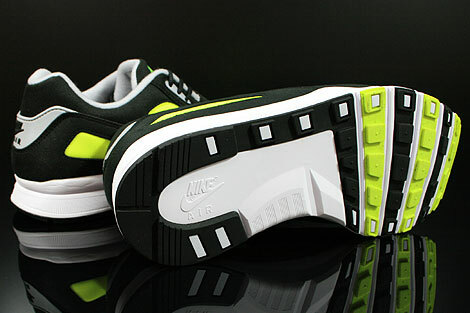 The Nike Air Current is a predecessor of the Huarache, that was introduced in 1989. 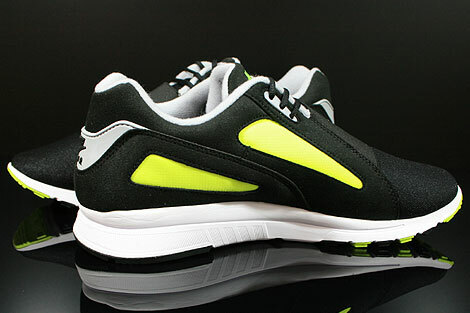 It has more flexibility and perfect cushioning and was made for triathletes to create less weight with a perfect fit. 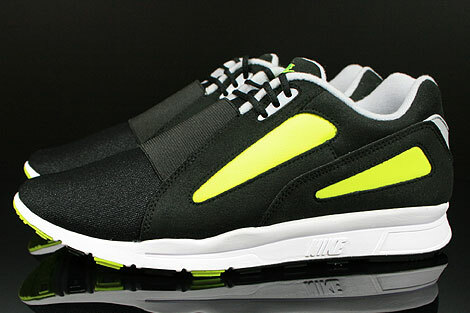 It comes with a innovative stretch sock construction in black with the famous Air cushioning. 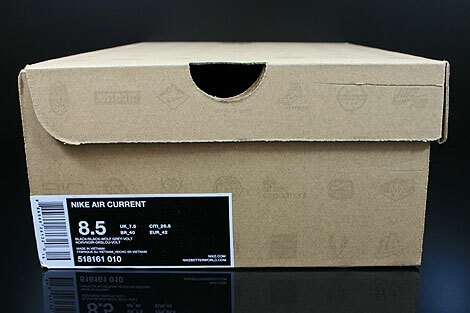 The Air Current is showcasing unique lines together with a super short 3-eye lacing and an instep stretch panel. 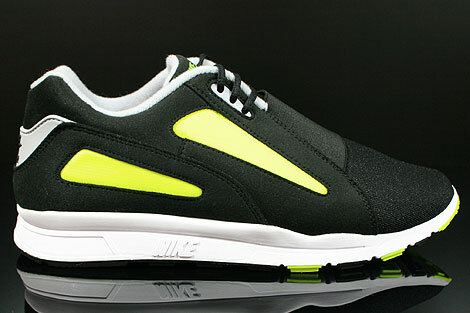 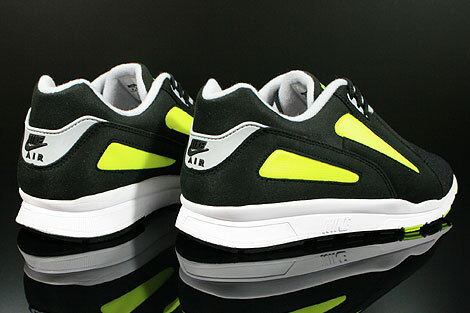 You will also like the Nike Air Stitching at the tongue and the heel in volt colors or the grey plastic applications. 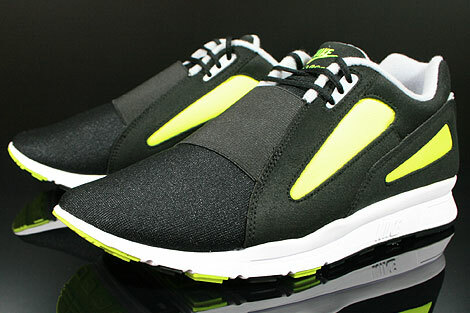 It has a foam-padded insole for the comfort and the outsole looks black, white and volt.